BOUNDARY is finally available to view online via Vimeo on Demand next week on the 28th! We know many of you have been asking where to view BOUNDARY, so please visit the link above and enjoy watching! Please don’t forget to tell all your friends as well. BOUNDARY screening schedule at the Shang Cineplex is finally here! 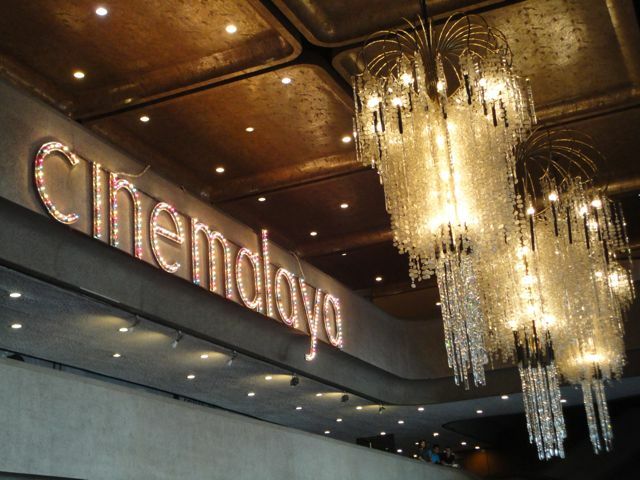 BOUNDARY will show from December 5 to 11, 2012 at Cine 5 of the Shang Cineplex in Edsa. BOUNDARY will have its initial commercial screenings in Manila this December! There will be Q&A sessions with director Benito Bautista on specific dates (TBD). 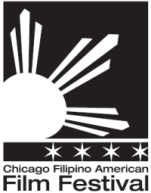 BOUNDARY opens this year’s Chicago Filipino American Film Festival! Opening Night reception of the festival is on Friday, November 2 at 7pm. BOUNDARY screening will follow at 8pm. 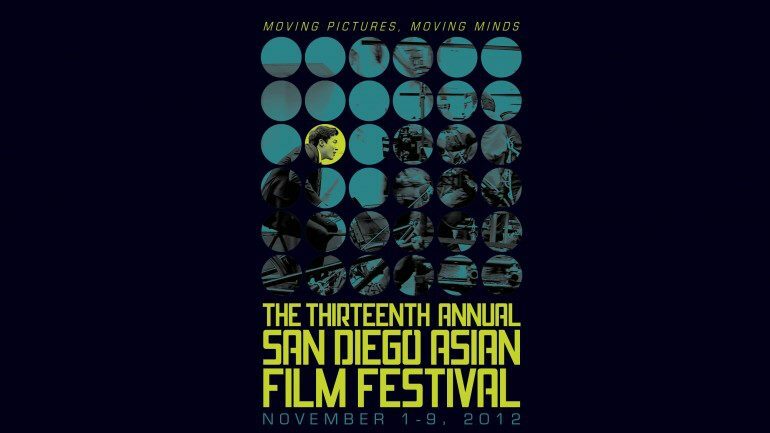 BOUNDARY will compete at this year’s San Diego Asian Film Festival under the Feature Narrative Award and the Audience Award! 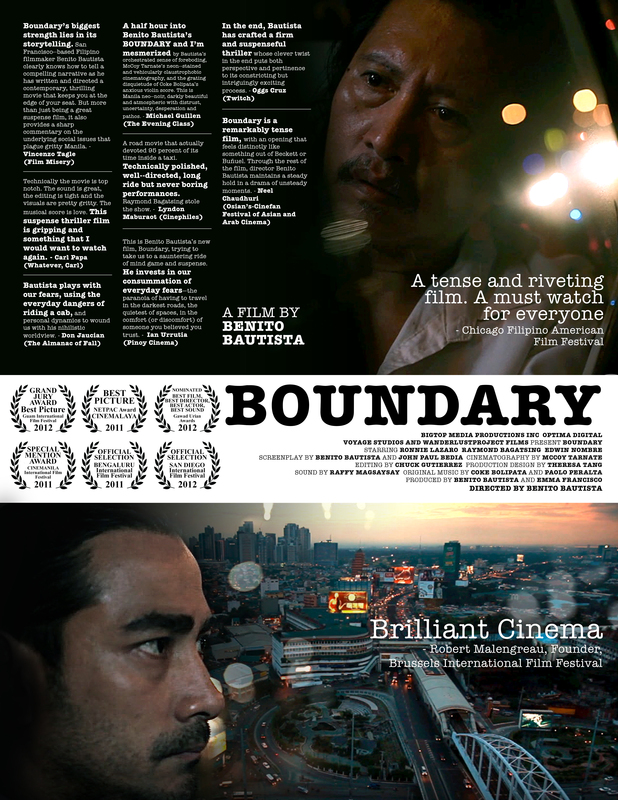 BOUNDARY will open this year’s Chicago Filipino American Film Festival! Our Ninth annual event features new works from three familiar names in Filipino American independent cinema. 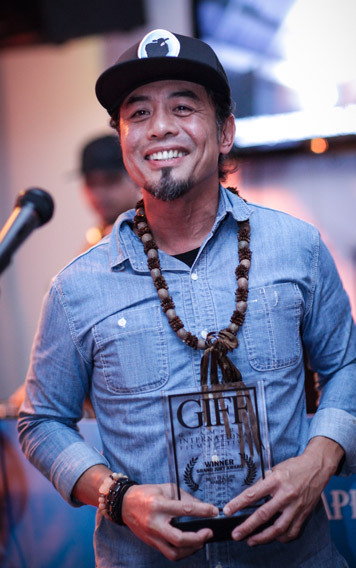 CFAFF 2012 opens with BOUNDARY, a tightly wound drama by Benito Bautista, whose previous feature film GIFT OF BARONG was embraced by audiences in 2006. BOUNDARY will screen at 8:00 pm on Friday, November 2. Join us for an in-theater webcast Q&A session with director Benito Bautista immediately following the screening. Please visit http://cfaff.org/ for more information about the festival. 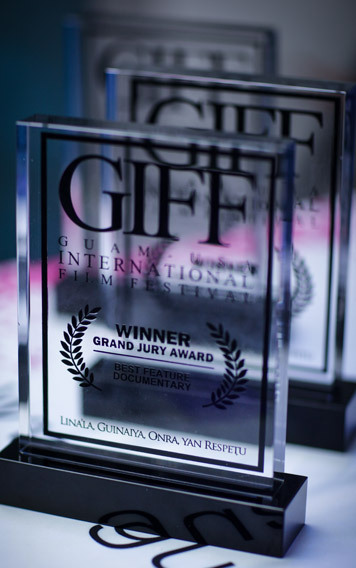 BOUNDARY received the Grand Jury Award for Best Narrative Feature at the Guam International Film Festival! 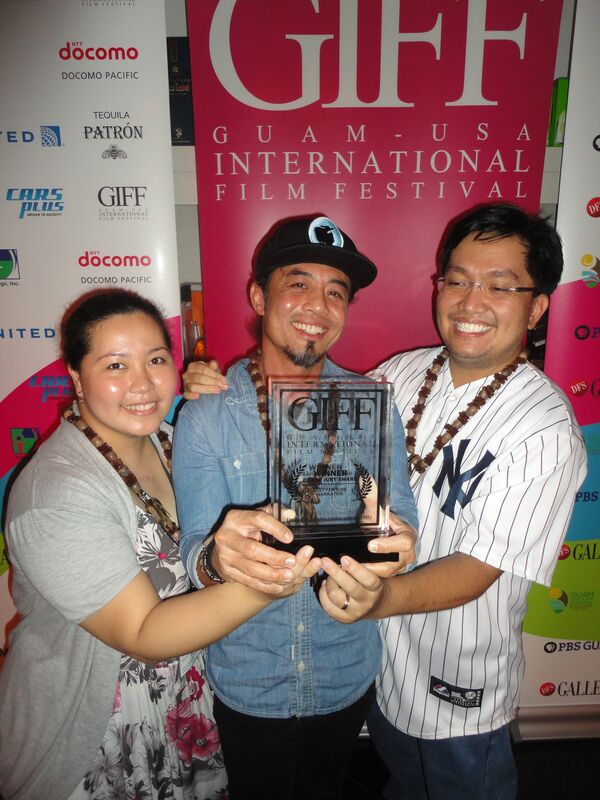 We’d like to thank GIFF for their warm hospitality and for the wonderful Guam experience they’ve shown our team. We’d like to thank the Guam audience as well for their warm welcome and great insights on BOUNDARY. Thank you very much to all the supporters of BOUNDARY! Let’s make another film! We are pleased to announce that BOUNDARY was selected to participate at this year’s Guam International Film Festival and the San Diego Asian Film Festival! We will keep you posted in the coming days about other news and screening schedules of BOUNDARY at both festivals. Thank you for your continuous support for independent cinema! We are excited and humbled to announce that BOUNDARY is included in the first New Filipino Cinema showcase at the Yerba Buena Center for the Arts in San Francisco! We thank YBCA Film/Video Curator Joel Shepard for believing in our film and including it on the list of other progressive and exciting independent films coming out of the Philippines to show in this event. BOUNDARY will show on June 8, 2012, Friday at 9:00pm at the YBCA Screening Room. 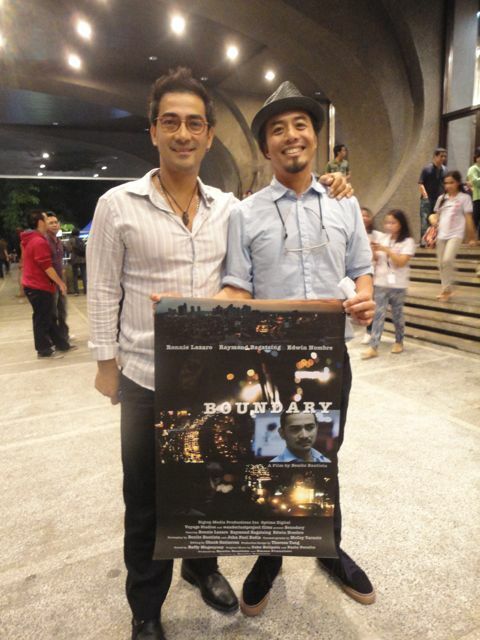 BOUNDARY director Benito Bautista will be present to answer questions about the film after the screening. Thank you to the programmers and organizers of the XIV International Festival of Detective Films held in Moscow for selecting BOUNDARY to participate in their festival. 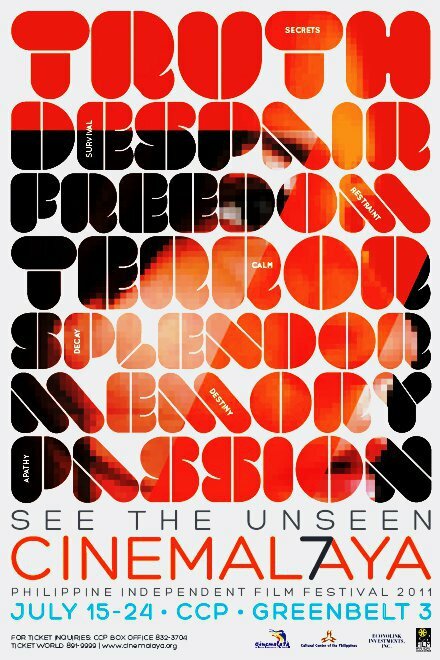 We are honored to be included on your roster of exciting and cutting-edge film selections! BOUNDARY had a successful screening at the recent Filipino Film Festival at the historic Doris Duke Theatre in Honolulu, Hawaii. We’d like to thank film programmer Gina Caruso and the festival sponsors for believing and supporting BOUNDARY. Much love and respect to the audience who came out to support the film! Thank you for the warm welcome — director Benito Bautista truly appreciate and enjoyed the insightful Q&A that followed the screening. We look forward bringing BOUNDARY again to the rest of Hawai’i next year! 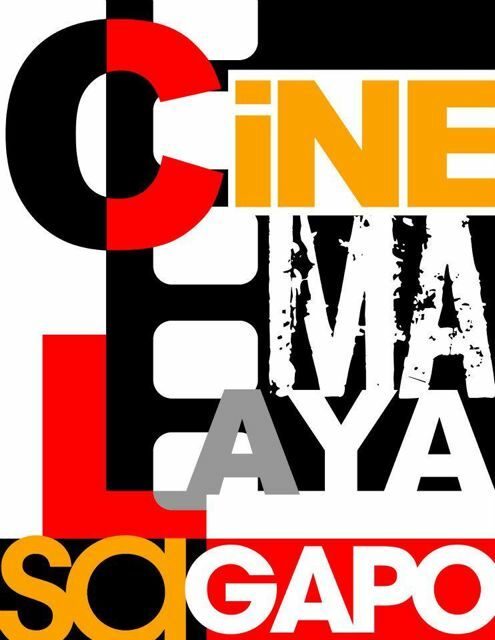 BOUNDARY will screen in Olongapo City on November 29, 2011, Tuesday at 3:30pm as part of Cinemalaya sa Gapo event. The event will be held at the Olongapo City Convention Center. See you there! 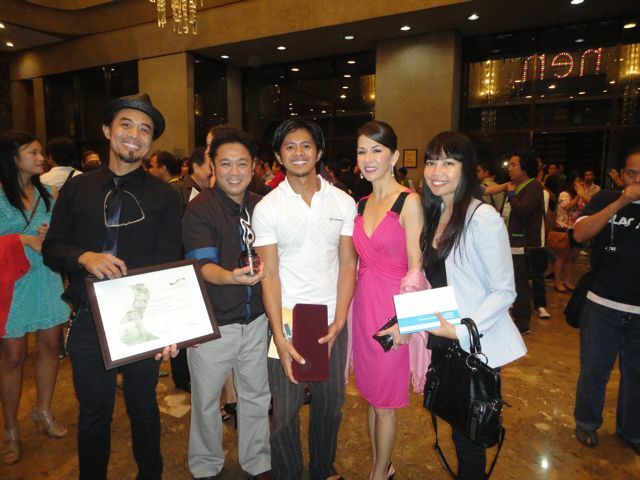 BOUNDARY received the Special Mention Award under the Southeast Asian Film Festivals at the Cinemanila International Film Festival, 2011! 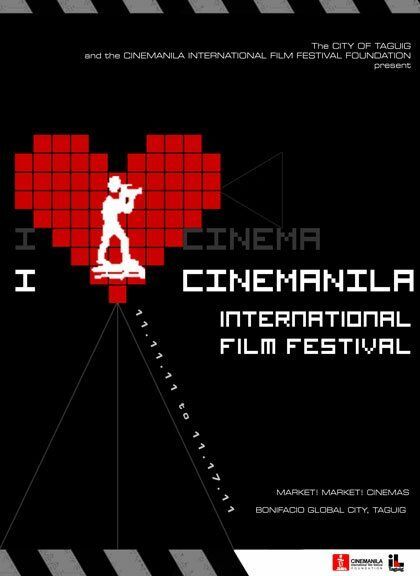 We would like to thank Cinemanila for bringing world-class films from different parts of the globe to Manila! 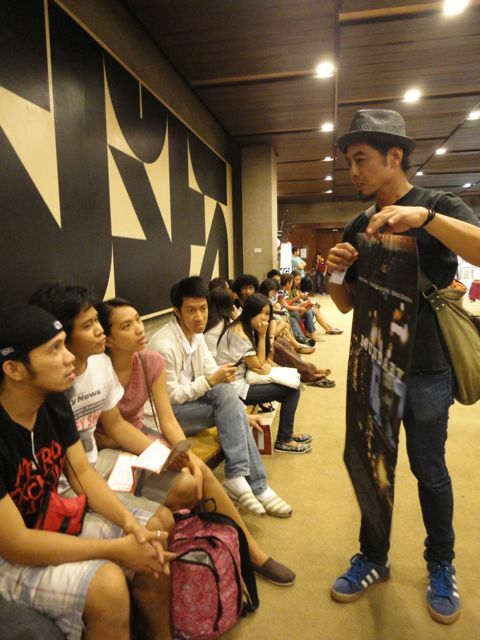 Thank you to all the cinema-lovers who came and watched Boundary as well! From L-R: BOUNDARY Director, Benito Bautista; Cinemanila Founder, Tikoy Aguiluz; BOUNDARY Producer, Emma Francisco; and one of the lead actors of BOUNDARY, Edwin Nombre. BOUNDARY is the Philippine entry for the Southeast Asian Film Competition at the upcoming Cinemanila International Film Festival! Stay tuned for Boundary’s screening schedule. 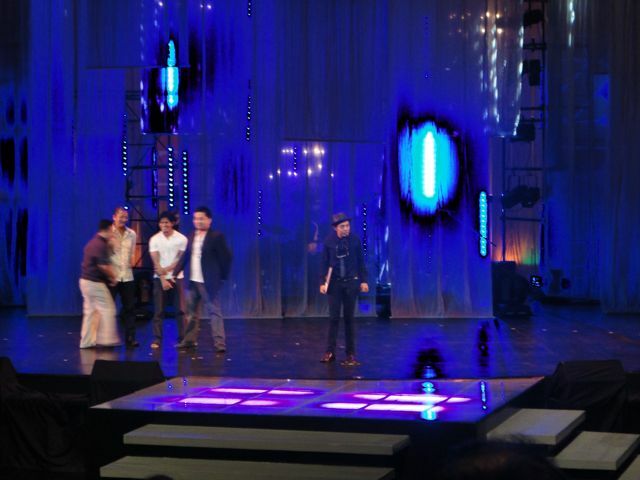 BOUNDARY wins the award for Best Picture under the NETPAC (Network for the Promotion of Asian Cinema) category at the Cinemalaya Independent Film Festival, 2011! 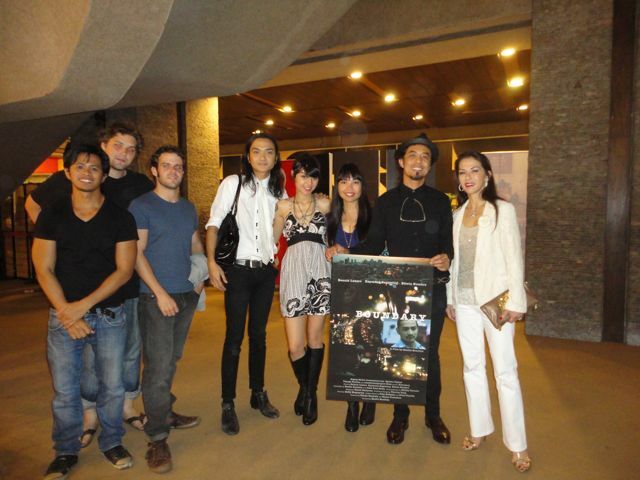 Here are some of the photos taken at this year’s Cinemalaya with some of the cast and crew of BOUNDARY. 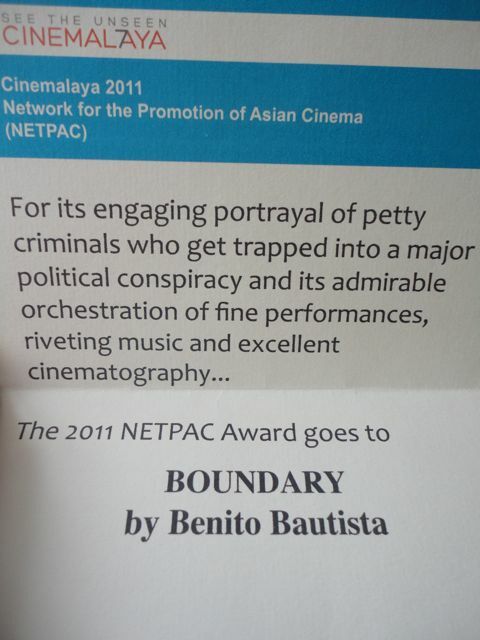 BOUNDARY was nominated for the NETPAC category at the Cinemalaya Film Festival, 2011!